The main focus of a medieval banquet in 13th century Europe was always the fabulous feast of food presented by the host for the enjoyment of their guests. Almost every kind of food available at the time would have found its way onto the medieval banquet table. Pottage (soup as we know it today) with white bread would have been an obvious starter dish followed by all manner of roast meat and cooked fish dishes to choose from. A choice of tarts and pastries would follow and sometimes there might even be a medieval version of strawberries and cream! I have a page where you can learn more about the fascinating subject of medieval desserts. In terms of contemporary accounts, there is a written account about a grand banquet attended by Legrand d’Aussy. In it he cited one of the desserts as ‘a white cream, cheese in slices and strawberries’. 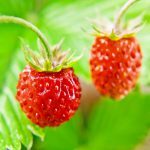 Wild strawberries were indeed known to grow in the forests of Europe including England in the 13th century. Finishing off the banquet menu there would usually be the choice of candied fruit or cheese. 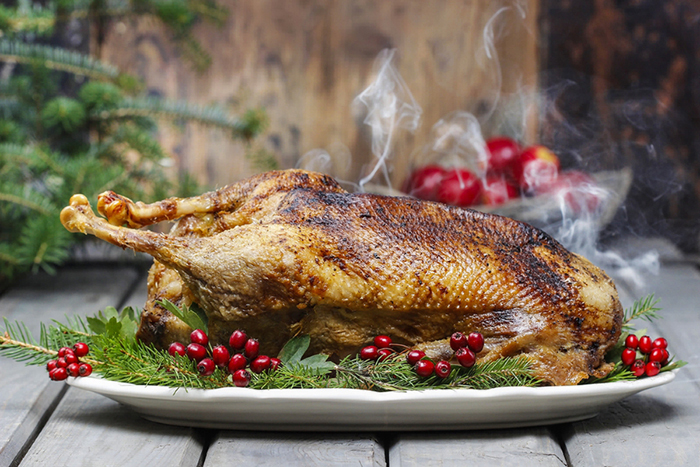 So from venison to wild boar, partridge to swan, salmon to trout and pike – these and more would have been on a lavish medieval banquet menu. Throughout the enjoyment of the food the guests would have been offered mead or ale so by the time the desserts were served, many guests were a little ‘merry’. Enjoying the splendour of such an occasion, many guests would then enjoy the music and entertainment laid on but for many the most enjoyable distraction was a little gambling! 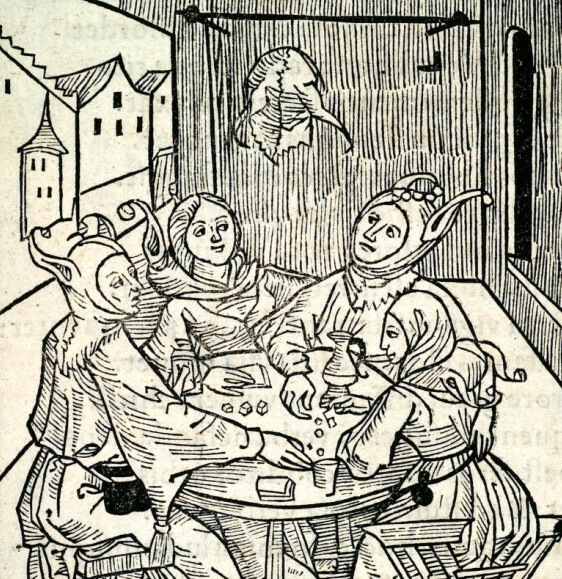 Dice games were prevalent in England even at the time of the Norman invasion. According to the 11-12th century chronicles written by Benedictine monk Orderic Vitalis, two of William the Conqueror’s sons (William and Henry) were actually playing a game of dice whilst hatching a plot against their brother Robert. 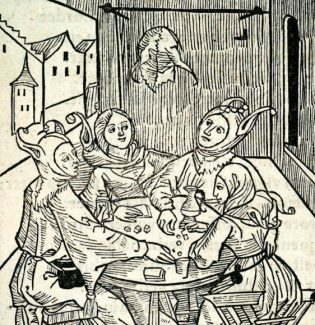 Then there is another, reliable, medieval account of gambling with dice. In 12th century England, the writer and philosopher John of Salisbury wrote an article which mentioned ten types of dice game that he knew were popular in medieval England at the time. Salisbury was well-read, travelled extensively and mixed in high social circles so his is the type of account that historians love because it can be trusted to be true. Salisbury’s notes have also been validated by actual discoveries of medieval dice from archaeological excavations. So we know for certain that gambling with dice would have been on the agenda at a medieval banquet. The stakes they played for were usually modest but on occasion could be very high, especially if medieval knights were involved for they often risked (and lost) their horses and even their estates. The history of gambling goes back way beyond medieval times, however, to literally thousands of years ago. My page on medieval gambling goes into this in some detail for anyone interesting in learning more.